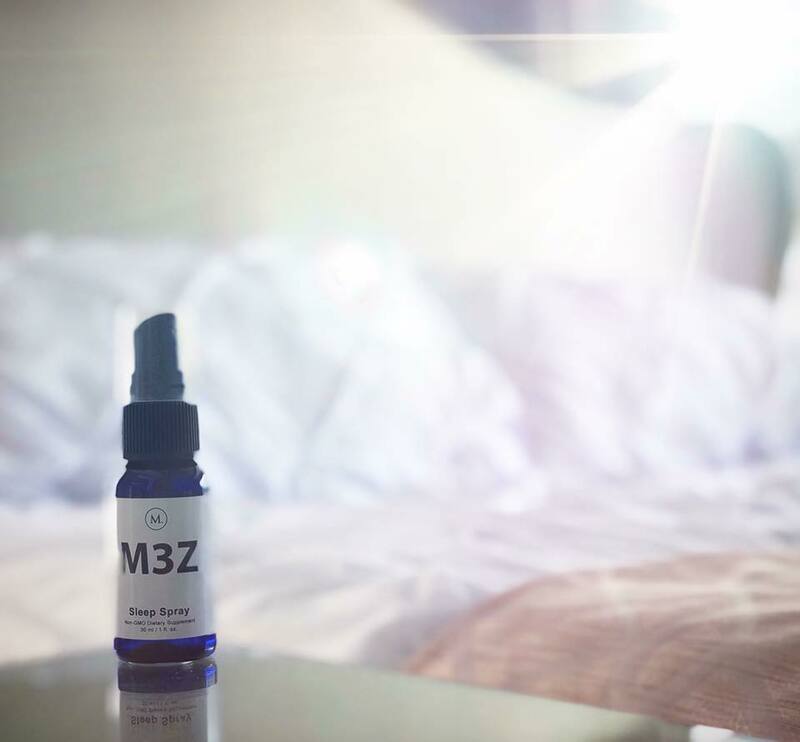 M3Z Sleep Spray will probably become your best friend pretty quickly. Especially if you are a parent. 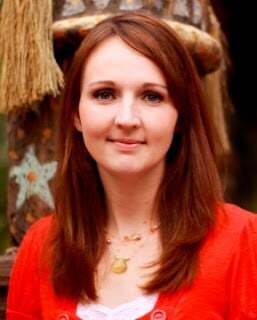 I am a mom of five so I know that my night often ends too late and my day starts way to early. A sprayable sleep aid helps me to make sure that I am getting good rest. All night long. You many wonder about a Sprayable Sleep Aid. Does they really work? This is NOT a melatonin product– did you know that melatonin is actually addictive? We don’t want that. We want you to get a good nights sleep whenever you need it. 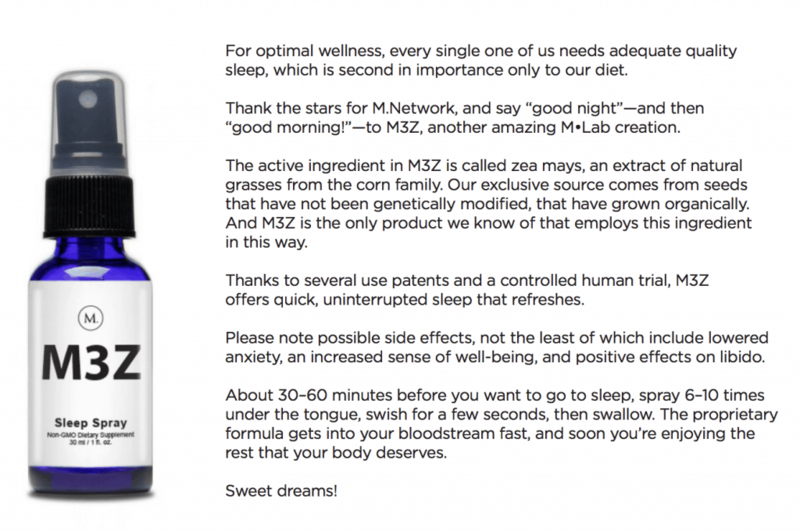 Does M3Z spray have zea mays extract for sleep? YES! Are there any M3Z sleep spray reviews? YES! This is a fantastic product with so many great reviews. Make sure and continue to the end of the post where I have shared with you many great sleep spray reviews. What are the M3Z ingredients? Zea Mays Extract, purified water and mint flavor. Where can I buy M3Z spray? M Network Sleep Spray is available for purchase on the M Global Website. Just follow any of the clickable links in this post for purchasing. Is M3Z spray only for adults? No! My kids use this M Global Sleep Spray too. I just give them half the amount of sprays. Naturally, you can experiment with numbers of sprays and find out what works best for you and your family. Here are all of your questions answered in great detail. Our patented processes capture the unique properties of Zea mays, from the corn family, before the young plant splits from a single leaf into two. The result is a simple, powerful supplement clinically proven to support serotonin balance throughout the body. 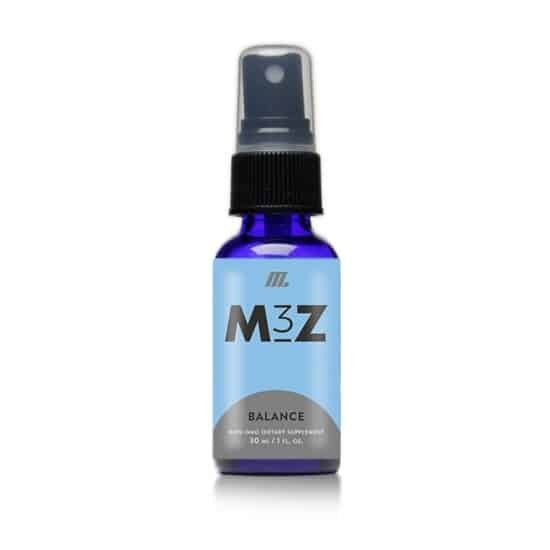 M3Z Sleep Spray Promotes: Improved sleep, less stress and anxiety, better mood & optimism, more mental focus, increased libido. Sounds good to me! Just spray under your tongue around 30 minutes before bedtime and look forward to a better night sleep! This product includes three ingredients only. You with find Zea Mays Extract, purified water and mint flavor. There are many great benefits of Zea Mays Extract. 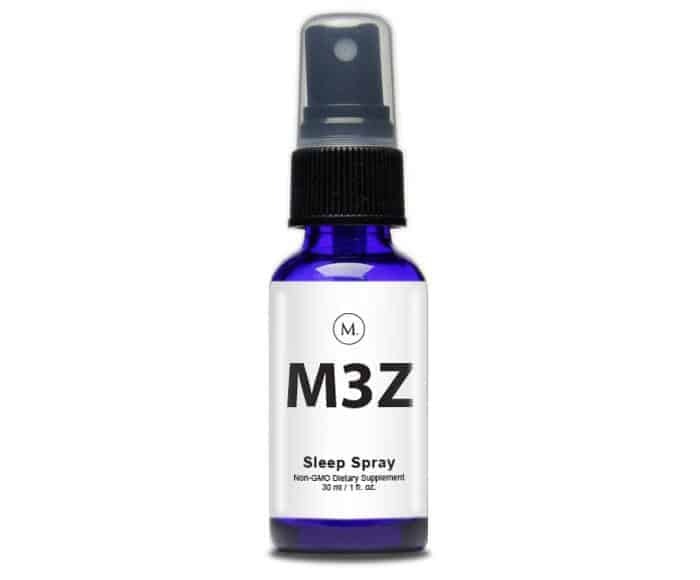 If you are looking for a better night sleep then M3Z Sleep Spray may be just what you are looking for. This product helps as a Serotonin Regulator, helps you to Fall Asleep Faster, Sleep Deeper, have Better REM Sleep, Lower Anxiety and a Libido Enhancer. If you want to try this product out for yourself, you can for only $24.95 for a month supply! I know that sleep is such an important factor in making sure that my day goes well. My 9 year old son has severe ADHD, he has been medicated since he was 5 and one of the medications was a sleeping tablet. It was so hard to have to give my child, my baby a tablet with who knows what in it just to help him to calm down enough to sleep for about 4-5 hours. When my M3Z arrived I thought I’d give it a go on him as well as myself but I’ll be 100% honest- I wasn’t expecting much because I’ve tried all sorts of natural products to make his medication redundant with no luck. The first night I gave him the M3Z he slept for 8 and a half hours, the second night 9 and a quarter hours and the third night 10 hours 55 minutes!!!!! I am so grateful for this product! Since I’ve been using this amazing product I need less sleep and am waking up two hours earlier ???? I have ptsd and usually never get a restful sleep. Part of my chronic fatigue stems from that, so now I have so much more energy! Very excited ???? I watch this the other evening. Excellent explanation. We are using it and I realize how its adaptagin qualities works for me. It sure helped me push thru some frustrating times these last 2 days. Knowing this helped me explain it to a friend this morning too. This spray has totally changed my life and I am so insanely grateful ???? ???? I used the M3Z last night for the 1st time… this product is a game changer! I was able to go to sleep easily and when I woke up… I wasn’t groggy like it is with other sleep aids. It’s a winner! If you ever had any sleep issues here is your answer, I am 36 and this is the best sleep of my life. How long does one bottle of spray last? If you use the recommended amount of sprays (6-10 sprays), one bottle lasts one month. Do you have any tips for using sleep sprays? If you have a fitness watch, track your sleeping. It is fun to see on your app how much better your sleep is. Is M3Z spray only for night time? NO! You can take it in the morning if you want. As it helps with less stress and anxiety, many people like to take it during the day. It is best to experiment with what works best for you. Will I get a discount if I am a M Global member? YES! M Global members get M3Z for $19.95. Sign up at hydrationstiks.com or ask me how! Introducing the Brand New BeneYou.